My recent rather single-minded commitment to the ancient period has at last dissipated, and this has led to some rather more diverse projects and purchases. I thought I might flag some of them up by combining them all in a single post. 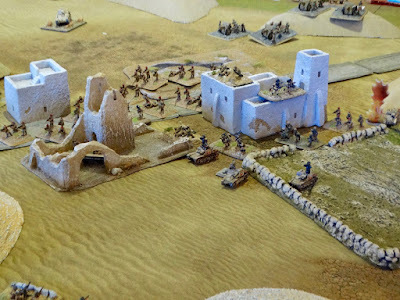 Sticking with ancients to start with, I want to develop some scenario-led battles to play, rather than the more traditional (and rather unimaginative) 'line 'em up and go' idea which seems so common in this particular period. One route to that end was to get some buildings to fight over, which could join my fish tank temple on the wargames table. I settled on the Renedra 'Mud Brick House', of which I bought two. 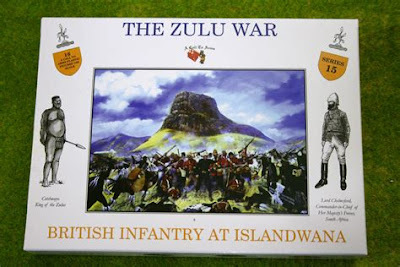 These are best bought direct from Renedra rather than Warlord Games or other outlets, as the former are presently doing discounts on buying more than one, as well as providing free and rapid delivery - I got mine within 48 hours. The models come as hard plastic kits, which are easy to put together and paint. You might find a bit of filling is required here and there, depending on your personal modelling standards. Well worth getting. I am currently reviving my Air Assault project from 2013 (I can hardly believe it was 5 years ago), using Battlegroup Blitzkrieg rather than Blitzkrieg Commander - similar titles but very different rules. Look out for a future post on this project, but of course I couldn't resist the excuse to buy something. Fortunately my 'needs' were modest and I went looking for some 15mm-size Kettenrads. Sadly, my favoured source of 15mm WW2 vehicles, Skytrex/Command Decision, don't seem to do these, so I settled for the Battlefront ones. I sourced these from Element Games, who I have used before for a variety of stuff and are generally reliable. The models themselves are fine - as is so common with Battlefront, not entirely accurate but easy to put together and perfectly OK for wargaming. When finished, these will tow the 75mm infantry guns and 37mm anti-tank guns of my airlanding troops - kettenrads were carried in the old bomb bay areas of Ju-52s. 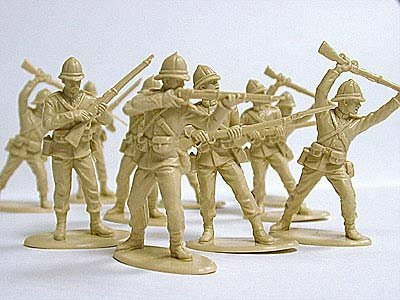 A rather whimsical purchase to finish - some 1/32nd (54mm) plastic soldiers. Another project I will be flagging up in a future post is a set of simple Horse and Musket rules, aimed at 'toy soldier' style battles. 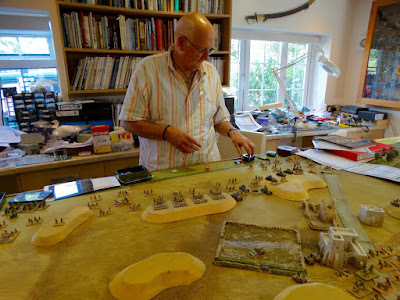 The project was partly inspired by Stuart's collection of 54mm Britains metal soldiers, and I began looking around for what was on the market in 40-54mm these days. Thus I happened upon the products of companies such as Armies in Plastic and A Call to Arms which I had never encountered before. Now, I have no intention of building any kind of collection of such figures (no, honestly, I haven't), but, on finding that a box could be bought quite cheaply, my inner child couldn't resist purchasing some. 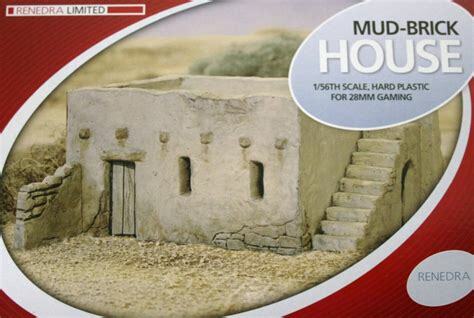 Prices for the various boxes of such toys can vary, and some ranges are hard to find, but at their original prices these are a very inexpensive source of decent 54mm toy soldiers - less than 50p a model. They are crisply molded and nicely detailed. I might even paint some of them up for display at some stage. A fun purchase. A couple of long-overdue purchases of classic wargaming books have been made. The first was John Sandars' An Introduction To Wargaming, from 1975. Of course, as an introduction to wargaming the book is rather lacking. 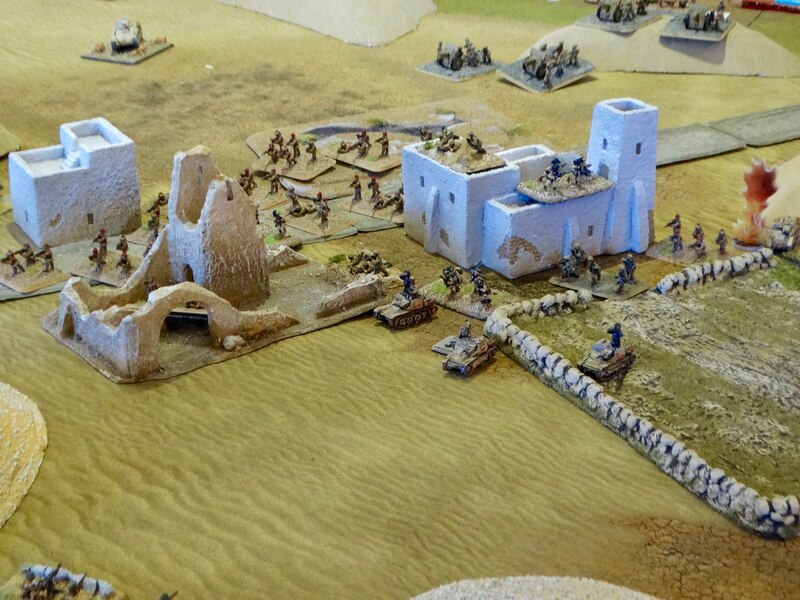 The work is really just an introduction to Mr. Sandars' rather idiosyncratic and unique approach to wargaming, and mostly deals with only one particular campaign in one particular period - the Western Desert campaign in WW2. So, not much of a general introduction; but I had fond memories of getting it from the library and reading it many decades ago. In those days it represented an interesting alternative approach to wargaming the Second World War. However, the rules contained in the book were incomplete and lacked the detail to actually play a game, as well as being rather over complex for my tastes at the time - and indeed they still seem rather over-egged. Nevertheless, nice to have a copy on my shelves. The second classic needs no introduction - Charles Grant's The War Game from 1971. For a collector of old wargaming books, I have come rather the late to the party in this case. 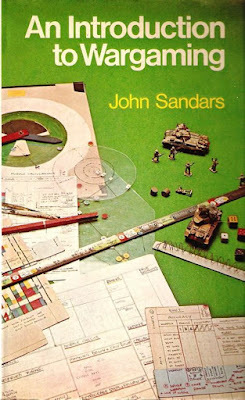 The main reason is that, as with John Sandars, Mr Grant's approach to wargaming differs widely from my own, both at the time of publication and now. Combat rules that are rather over-fussy (not to say clunky), and units that are far too large. And of course, copies of the original edition are getting rather pricey these days. Still and all, not having it on the shelves suddenly became no longer acceptable, and I found a slightly battered but sound copy on eBay for £25, which I thought was pretty lucky. Checking again today, imagine my chagrin to see a 'buy it now' copy for £7.50 plus £3.40 postage. Some people really are a bit dim - the item is right below a copy of the same book priced at £67.63. Ah well. It was still a pleasure to give it shelf space after all this time. Flames of War? Are You Quite Mad? 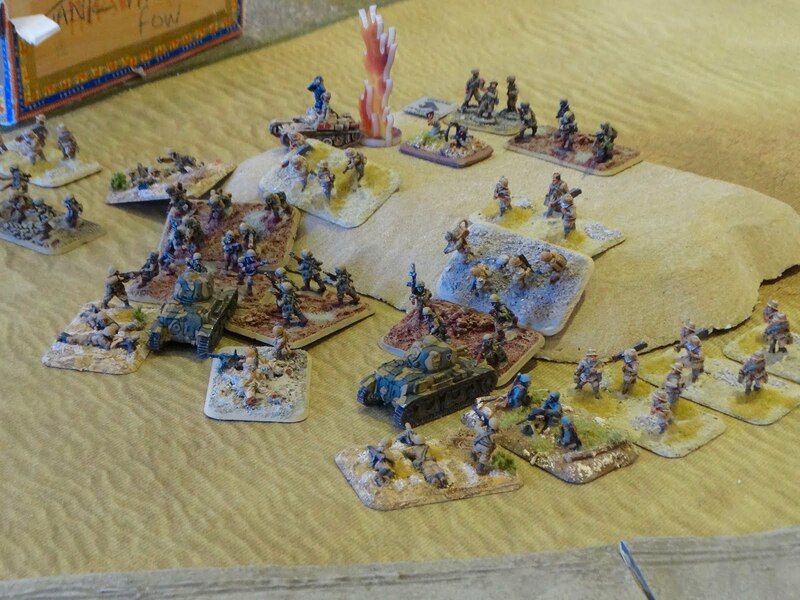 Yes, Roy is quite a FoW aficionado, and has more FoW armies than you can shake a stick at. It's been ages since I had a go with these rules, which as readers will know are something of a Marmite phenomena in wargaming. Anyway, the subject of early WW2 gaming came up, and before I knew it I was at Roy's fighting a fictional Italians vs. Vichy French desert game. Tremendous fun, with enormous Italian infantry platoons and the usual collection of useless early war armour. Even more remarkable, I actually won - although of course, I had to be guided through the rules for the duration of the game. A few photos are included below just to get the gist. Thanks Roy! Maybe controlling the French was a mistake Roy. Italians swarm into a village. Human Wave 1 - overcoming a couple of unfortunate Renaults. Human Wave 2 - the Italians advance. Lovely terrain mat from Tiny Games. 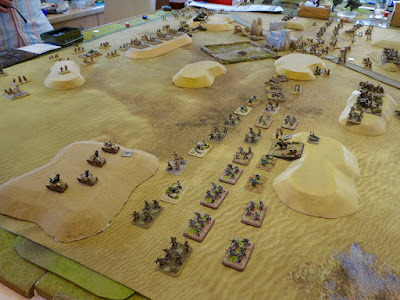 I came across an interesting opinion piece recently on the Glorious Little Soldiers blog. Andy's "Mr Angry" writing style is always entertaining, but the point I took away from the piece is that it really is time that some rules appeared that were a pleasure to read. 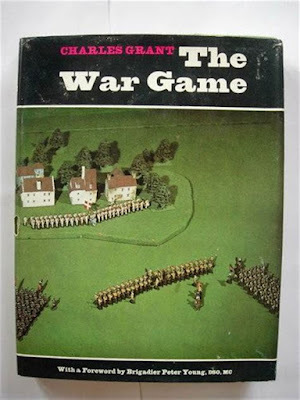 I have sometimes fantasised about writing a wargames book in Old School style that would not only present a set of rules, but might work as a book, rather like some of Charles Grant's original works from the 70s. Of course, actually writing something that someone would consider publishing is another thing entirely. Nevertheless, perhaps this could be the Next Big Thing in wargames literature. So, two new projects happening at the moment - resurrecting the Air Assault game, and a new set of basic Horse and Musket rules. More on both soon. Oh, and I've written an article for Slingshot, based on my ancients project. A reasonable chance of publication, if the editor's initial reaction is anything to go by. A problem I find with this kind of thing is how long one has to wait between acceptance and actually seeing the article in print. This is unavoidable, and I remind myself that patience is a virtue! Dare I say it Keith but maybe you are becoming a 'wargames butterfly' like the rest of us!? As always, an interesting read and with some stuff that gave me food for thought. I think one thing I find a tad boring with Ancients is the prevalence of the line 'em up and have a bash scenarios. Personally they leave me rather cold. However some smaller scale actions (not skirmish level) would certainly pique my interest. Stuart's scenarios books have some good starting points I'm sure. It has certainly got me thinking about this 'period' once again. 1/32 plastic soldiers eh? Frankly what's not to like? Many fond memories of the old Airfix figures and the smell of them when the box was opened. If I ever gamed in that scale, I'd be sorely tempted to leave them as is, just for that pure nostalgia fix. Glad to see the Fallschirmjager scenario is back on the cards and I look forward to seeing further updates on this. If you fancy an opponent, maybe our diaries and the planets may align, you never know. Flames of War! Well what can I say? I did have some fun games at the club with these rules, but sadly not many. The constant rule changes/updates and new army books etc put me off. The bit on rule books that are an interesting ready got me thinking on this very point and as to what I want in a rule book. I often cite Blitzkreig Commander II as my favourite type of rule book, as it just has the rules, generally well laid out, with army lists and at a good price. Your own 'Honours of War' and the general Osprey stable work well in this regard too. Compare this to the Black Powder 'coffee table' style book, which whilst nice to look at and sometimes to read, doesn't work well as a rule book. Hail Caesar I found to be even worse. I think this is down to the rules being spread out throughout the book, rather than concentrated in one area. I think the original Grant, Featherstone et al books worked well in the sense that they set out their stall in the early part of the book, where you could enjoy reading each chapter without having to worry about the rules themselves. When you did reach the rules, they were generally self contained. Charlie Wesencraft's 'Pike & Shotte' rules I found to be a most enjoyable read and the rules themselves not too bad either, given their age. Of the 'modern' rules writers, I have found Neil Thomas' approach refreshing and have actually enjoyed reading his books, which is rare these days. To finish up, thanks for the 'heads up' on the Grant book, which I have ordered as it was too good a bargain to pass up and fills that hole in my collection. I am looking forward to reading it in light of the above. Thanks Steve. Yes, I'd like to have a bash at the Airborne Assault scenario with yourself. I need to run it through solo to make sure the adaptions to Battlegroup are sound, and the relative force strengths make a reasonable ga,e. I'll be in touch. I'll also be posting a more 'scenario based' ancients game in a while, which will also be a bit of an experiment. A good post that.. lots of interest! Much to consider in this post, Keith. To respond to just one of your topics, creating Readable Wargame Rules is an interesting proposition. I popped over to Andy's post and read both his thoughts and your responses. Perhaps rules' precision combined with engaging and entertaining text in one ruleset is too much to ask? One that stands out to me as a good read is Thomas' Wargaming: 19th Century Europe. Unfortunately, Thomas lacks precision in a number areas within the body of the rules. Jonathan, I was thinking of Mr Thomas in this context myself. His Ancient and Medieval Wargaming was a pretty readable book with the rules woven into a series of chapters. A clever man. Thanks for a most interesting blog post Keith. 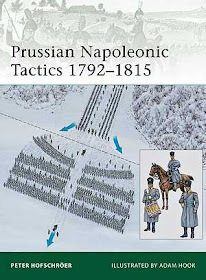 I'm probably too old now to get much out of the "ideal" wargames rule book you aspire to but it would be good to have such a thing to give to the younger generation. Maybe they could get some of the same pleasure we did reading about wargaming in the style of those early writers. A succinct set of rules within it is essential though. I think "Rapid Fire!" First and Second Editions are well written and an enjoyable way to absorb WW2 rules, as is your own HoW for SYW. Good Luck.